We would like to congratulate the Stratford Football team on being this year’s recipient of the Football Sportsmanship award. 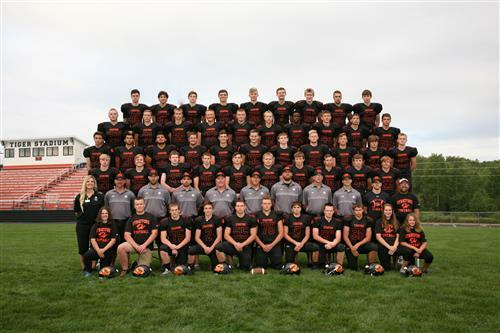 This is the second time Stratford is the recipient of the WIAA/Rural Mutual Insurance Sportsmanship Award. They also won the award for football in 2006. When talking with Head Coach, Jason Tubbs, we asked him what this award meant to him as a coach, the team and community along with how they teach their athletes about sportsmanship. As a coach I am very proud of my players. My staff and I try to encourage our players to play hard, but within the rules of the game. It’s okay to be competitive, but in the end your character and reputation are more important! As a Team it’s a great accomplishment, and I am not surprised because this 2018 team was special on and off the field. We have a lot of great leaders on this team and they lead in their classes and community. The Stratford community is a great example of small-town USA – very proud, hardworking, and loving community. This award just represents what this community stands for in football and other sports and activities! I have always believed that sportsmanship is part of your personal character. I stress to “lead yourself”, and everything else will follow. Being a good citizen, student, and athlete should not change in any part of your life. I think sportsmanship is very important because the game of football gets enough bad press. Sportsmanship is important because it can build lifelong skills that will help all athletes off the playing fields and courts. Winning with character and dignity and losing with maturity and respect is the characters America needs more of. This is Coach Tubbs 26th years coaching football. He started coaching middle school and freshman football in Tomah, Wisconsin. He then coached JV football in Iowa and middle school in Canton, Ohio. He then returned to Wisconsin to coach with Cal Tackes for 10 years before becoming head coach the past 6 seasons. His favorite part of coaching is; he loves the challenge each opponent brings to the game but making lifelong connections with the players lasts forever! Congratulations again on a great season and a great achievement for the Stratford community!